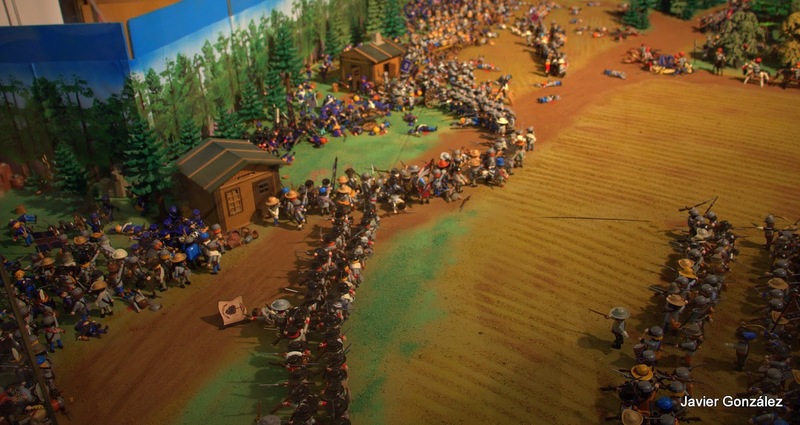 Batalla de Chickamauga reproducida por Clicks. 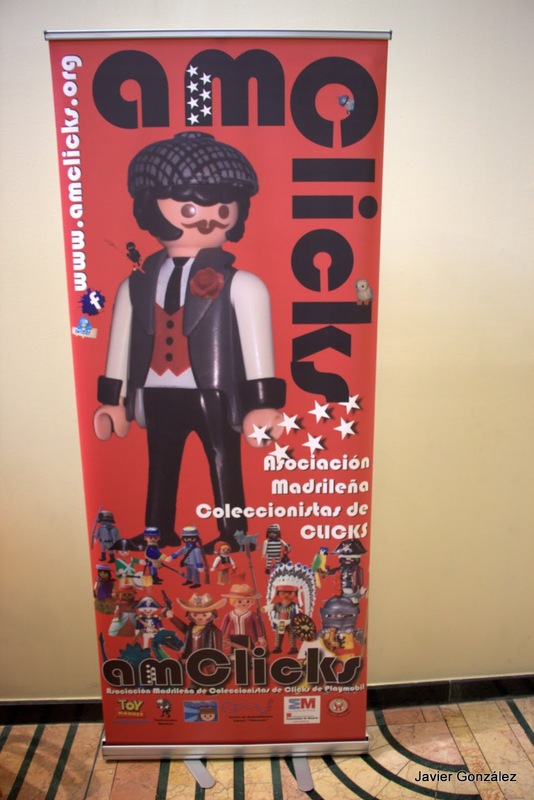 La Asociación madrileña de coleccionista de Clicks ha reproducido la Batalla de Chickamauga con cientos de estos muñecos tan conocidos con todo lujo de detalles y la muestra en una exposición itinerante. Los pequeños muñecos representan todos los personajes de la batalla que tuvo lugar. 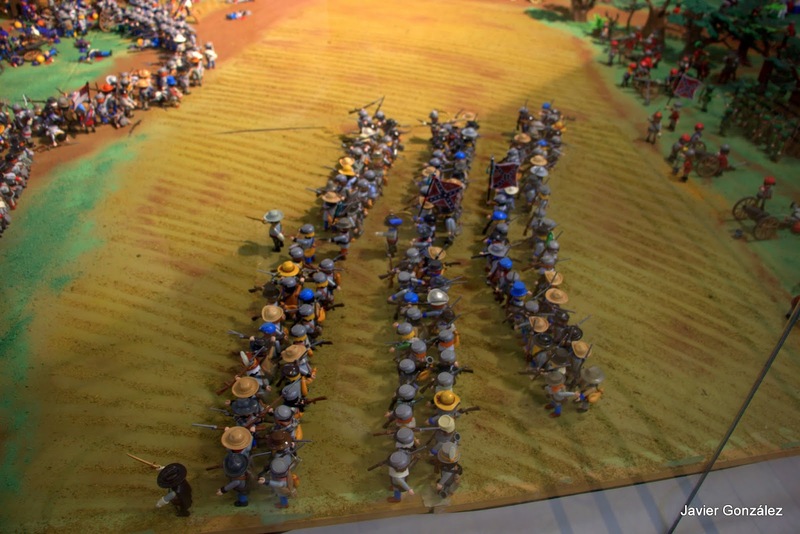 The Madrid Association Clicks collector has played the Battle of Chickamauga with hundreds of these well-known dolls with great detail and shown in a traveling exhibition. Small dolls represent all the characters of the battle that took place. The Battle of Chickamauga took place in the counties of Catoosa and Walker (Georgia) on September 19, 1863, during the American Civil War. 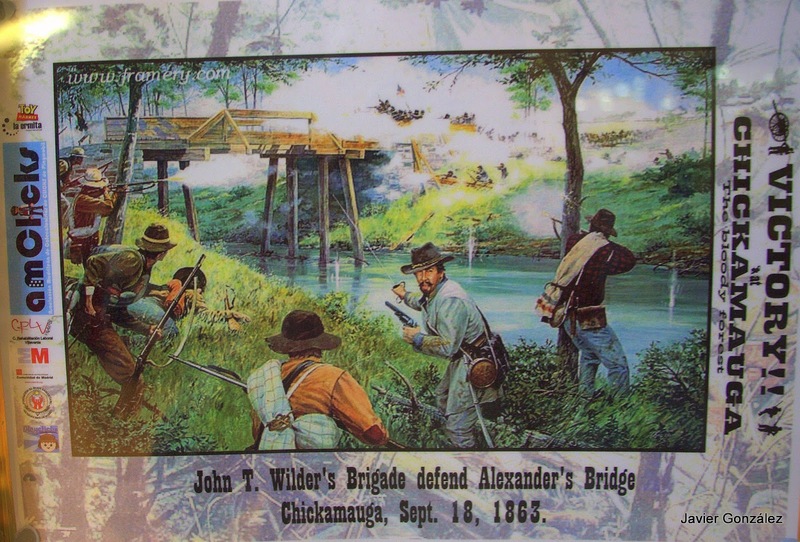 The forces of the Union and Confederate found on the border of Tennessee and Georgia, near Chattanooga. After the battle, Union forces retreated to Chattanooga, and the Confederates retained control of the battlefield. 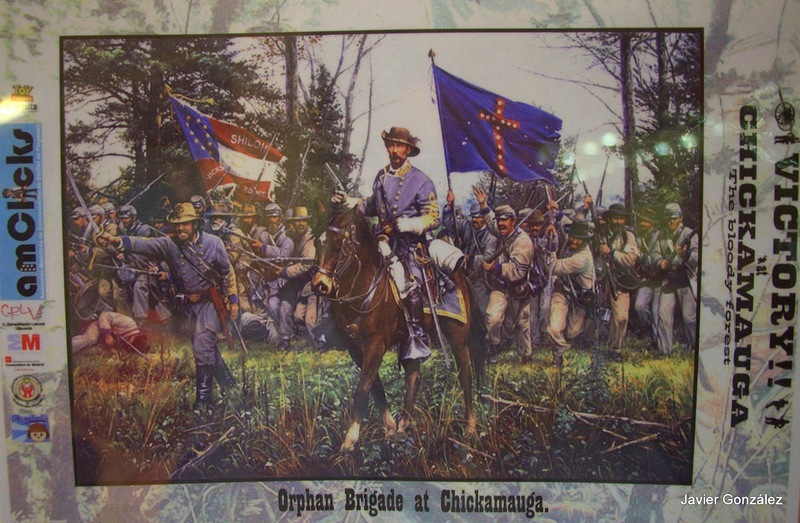 This was the most important of the Union Army in the so-called "Theatre West" during the Civil War defeat. 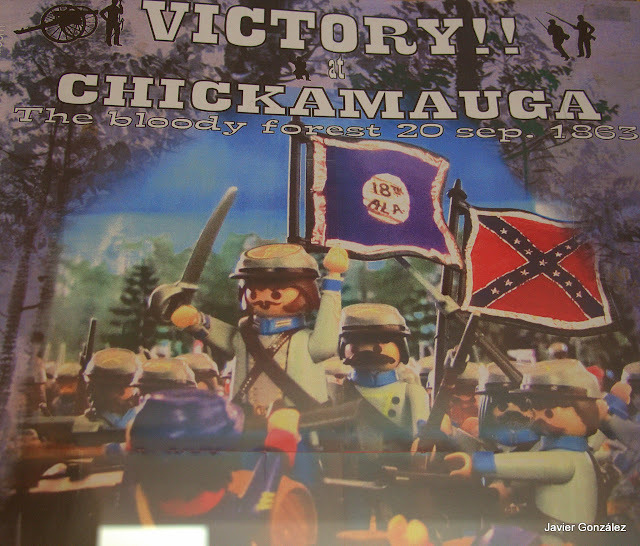 La batalla de Chickamauga fue una de las más terribles en toda la Guerra Civil Estadounidense. 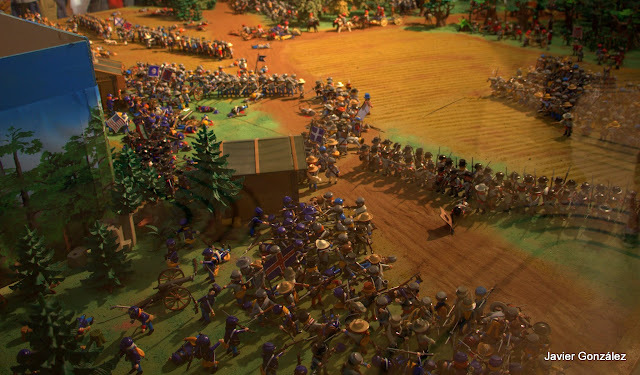 Los Confederados lograron frenar el avance de las tropas de la Unión, pero el precio de la guerra fue muy alto, dejando más de 4.000 muertos, un sinfín de heridos y otro más de desaparecidos. En 1890 se estableció en el campo de batalla un parque nacional militar para conmemorar los miles de muertos y heridos. 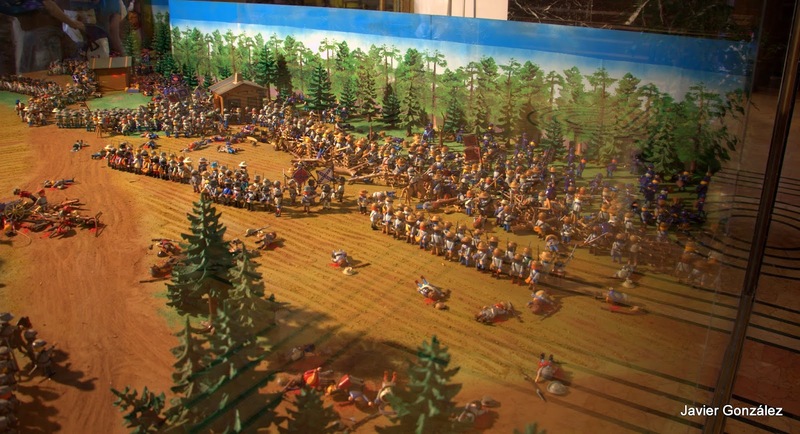 En el diorama se pueden ver los dos bandos, los sudistas encabezados por Orry (Patrick Swayze), y los confederados por George (James Read) amigos y compañeros en la Academia de Westpoint, que la guerra convirtió en enemigos. El diorama se completa con varios tipos de piezas de artillería, carros, vegetación, caballos, construcciones, y paisajes de Carolina del Sur. The Battle of Chickamauga was one of the worst in the entire Civil War. 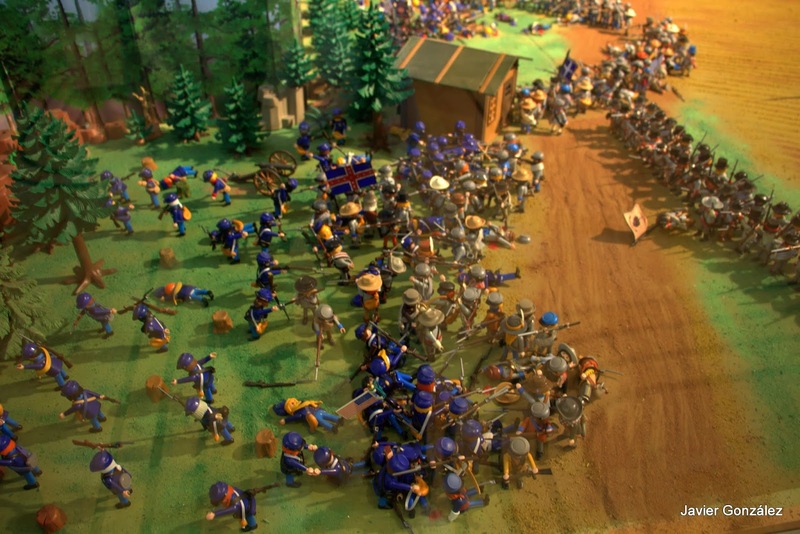 The Confederates managed to stop the advance of the troops of the Union, but the price of the war was very high, leaving more than 4000 dead, countless wounded and another missing. In 1890 a military national park was established in the battlefield to commemorate the thousands of dead and wounded. 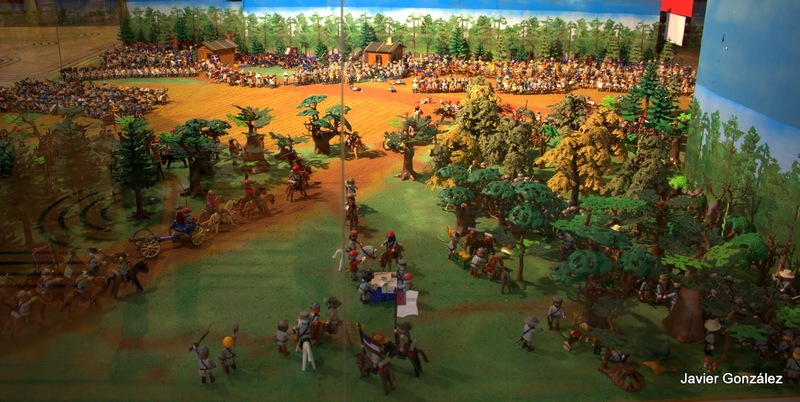 In the diorama can see both sides, Southerners headed by Orry (Patrick Swayze), and the Confederates by George (James Read) friends and colleagues at the Academy of Westpoint, the war became enemies. 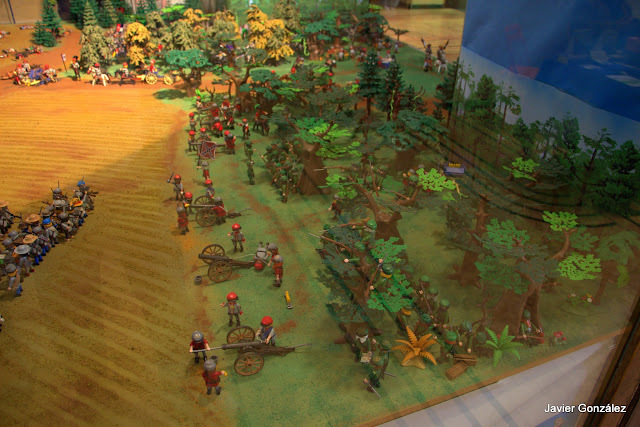 The diorama is completed with various types of guns, cars, vegetation, horses, buildings, and landscapes of South Carolina.